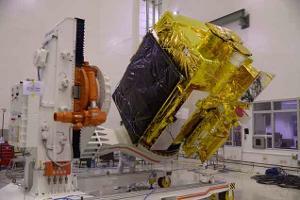 The countdown for the 28th September launch of PSLV-C30 carrying ASTROSAT satellite for the first dedicated Indian astronomy mission aimed at studying celestial objects has begun, ISRO said. The countdown activity of PSLV-C30/ASTROSAT Mission started at 08:00 hours Saturday, Indian Space Research Organisation said. PSLV-C30 carrying ASTROSAT along with six other co- passengers, one satellite each from Indonesia and Canada, and four nano satellites from the US is scheduled for launch on 28th September at 10 am from the space port of Sriharikota in Andhra Pradesh. ASTROSAT is India's first dedicated multi-wavelength space observatory. This scientific satellite mission endeavours for a more detailed understanding of our universe.